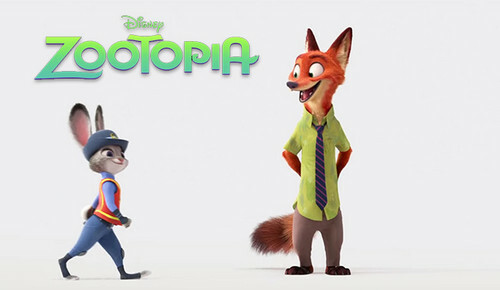 Zootopia. . Wallpaper and background images in the Judy Hopps club tagged: photo disney zootopia zootropolis zoomania judy hopps nick wilde banner fox rabbit bunny. This Judy Hopps photo might contain 잘 입고 사람, 정장, 바지 정장, 잘 차려 입은 사람, 양복, pantsuit, hip boot, and thigh boot.